The Asian Human Rights Commission (AHRC) strongly objects to Nepali Prime Minister K.P. 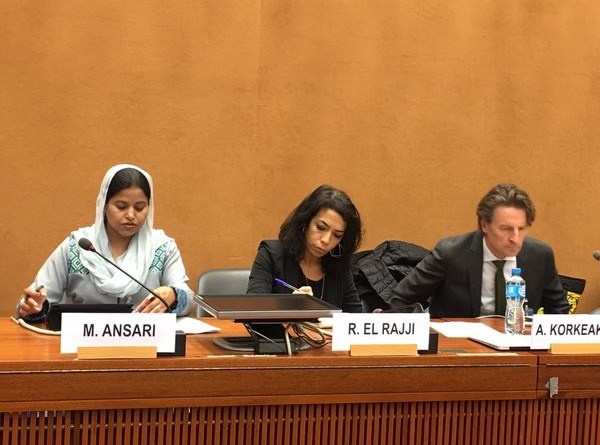 Sharma Oli’s summons to the National Human Rights Commission (NHRC) Chair Anup Raj Sharma, Commissioner Mohna Ansari and other members on 3 April 2016, where he sought clarification on Ansari’s statement during the Universal Periodic Review (UPR) held in Geneva in March. All the issues raised by the NHRC were based on different periodic reports and recommendations made by the constitutional body. Countries such as the USA, UK, Switzerland, India and other stakeholders, including the United Nations, Human Rights Watch, Crisis Group, Amnesty International, and the AHRC, had also noted the same issues through various circulations. Needless to mention, the NHRC is a constitutional body, not part of the Cabinet. Nepal’s Constitution has guaranteed its autonomy and independence to oversee the country’s human rights issues, and make recommendations to the government to improve the situation and abide by the rule of law. When the NHRC members are called by the Prime Minister’s Office for questioning and clarification over its independent activities, it is an absolute breach of jurisdiction as provided by the Constitution. It is also in contravention of the Paris Principles on National Human Rights Institutions. Such interference by the government into a constitutional human rights body will only weaken the basic principles of separation of power, checks and balance, and rule of law, which are a must for the proper functioning of a democratic system. The Prime Minister’s Office’s recent steps deliberately show anger towards NHRC Commissioner Ansari because of her individual identity, rather than at the NHRC itself. This is evident from media reports that the Prime Minister’s questions were directed only at her, not to any other members. It must therefore be spotlighted that Ansari made her speech in the capacity of an NHRC commissioner, not as an individual. Her being a woman, a Muslim and a Madhesi, should therefore be irrelevant. Similarly, the media’s attempt to link rights activists from the Terai region, including Ansari, to rights campaigner Dr. C.K. Raut, on ethnicity grounds, is a serious concern. Ethically, a human rights activist does not have any religion, gender or ethnicity. Placing all rights activists from Terai under the banner of C.K. Raut supporters is playing into the traditional narrow ‘Nepali nationalism’ mindset. The AHRC applauds Commissioner Ansari’s defense of her statement at the UPR session (in a news report published in Himalayan Times on 7 April 2016) in response to the Prime Minister’s questioning. Rather than expressing anger, the Prime Minister’s Office would have done better to consult with the NHRC on how to incorporate the UPR recommendations. When a constitutional body is questioned by the government over its independent efforts for securing people’s rights, what sort of treatment can be expected by non-governmental human rights organizations and the international community when they raise issues of genuine human rights violations in the country? The AHRC recommends the Government of Nepal not to intervene and weaken autonomous and independent constitutional bodies such as the NHRC, whose role is instrumental in safeguarding democracy and human rights in the country.